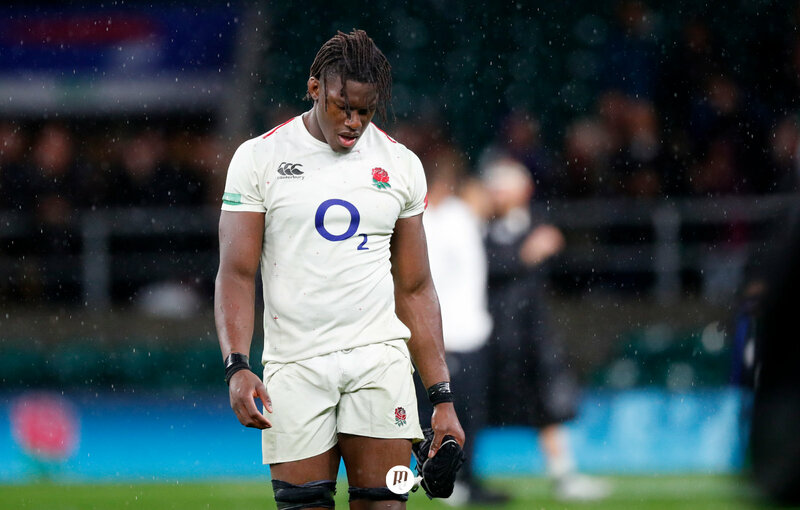 Despite dominating and racing to an early lead, England were on the wrong side of the scoreline against New Zealand on a rain soaked November afternoon at Twickenham. Four years the English rugby public had been waiting for the opportunity to see the men in white tackle the mighty All Blacks, and as the day unfolded, it was clear that the great natural leveller was out in force. The build up to the fixture had been momentous, not least because the last time these two sides had met at this venue, England had registered their largest ever score over New Zealand. Going into this game, all who wrote talked of the overwhelming need for England to take the game to New Zealand. Perhaps Rob Vickerman put it most succinctly: ‘don’t wrestle a chimp’. South Africa undid New Zealand in Wellington, just as the Lions had done a year previously, with a high intensity performance. The return leg at Loftus Versfeld would have delivered the same result had the All Blacks not had other plans. Hark back to Ireland in Chicago and you see the same high intensity, disruptive game plan. Any notion of fast attacking rugby faded however, as the rain continued to fall in London. It was clear that an attritional battle in the front lines with some aerial bombardment was on its way. That said, it only took a moment for England to announce themselves in the fixture. One of the key stories going into the fixture was the return to the starting line up of Chris Ashton. His running lines and support play took him to a record haul of tries for Toulon last season, and his awareness of space and position in the opening moments of the game were duly rewarded. Testament must go to the rest of the England backline, and especially Ben Youngs in creating the opportunity however. 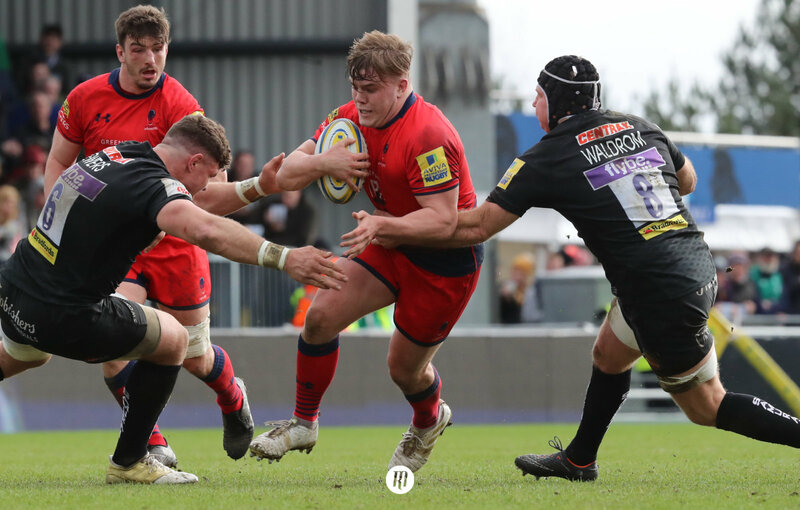 A shift at the last minute from Henry Slade and Owen Farrell from the right hand side of the ruck to the left forced the All Blacks to draw their numbers across. So too was their gaze, and as Rieko Ioane drifted further in field and Damian MacKenzie began to counter the danger, Ashton faded further to the touch line. Cue Ben Youngs seeing the opportunity and spreading a delicately floated pass out to Ashton. Ever the finisher, he slid over in the corner and England were ahead with their first play. Their intensity in the opening half an hour allowed them to dominate the early period. Constant disruption at the breakdown, high line speed, astute kicking, and something of a pop-pop-bang with their phase play gave them over 80% of the territory; that is they ran it up through the forwards twice before spreading it wide. By ten minutes, Farrell had dropped a goal and England were racing to a strong lead. Indeed they literally pushed it further on the 23 minutes mark. Elliot Daly drove a penalty kick deep into the New Zealand 22 from which the forwards set up a drive. As more and more of the backs started to join, it felt as if the weight of the whole stadium was behind them; Dylan Hartley the man awarded the try. Echoes of 2012 rang through people’s minds. England were on top, and dominating New Zealand so thoroughly, they had failed to register any points. Echoes of the All Blacks’ recent trip to Loftus must also have been running through people’s minds. For those that saw that game, they will remember New Zealand scaling a seemingly insurmountable 17 point deficit against a South African side that had also been all-dominating. After all, winning is what New Zealand do best. By half time, New Zealand had turned what little opportunity they had into points. With the pressure on, and a penalty inside the England 22, captain Kieran Read opted for a scrum. A big call, one that can make or break a game (as we have so often seen). Ryan Crotty took the ball as first receiver and made metres, a lot more metres than England defence coach John Mitchell would be happy with. Read himself almost crossed but for a thumping tackle from Courtney Lawes. From that phase, Aaron Smith spread the ball out left to Beauden Barrett whose drift to the outside opened up the gap that the indomitable Damian MacKenzie would crash through for the try. It was from here that England’s implosion began. The resulting kick off went out on the full, gifting momentum back to New Zealand. The half closed out with a penalty kick from Barrett, and despite England leading by 15 points to 10, New Zealand would almost certainly have been the happier of the two sides. The All Blacks started the second half with the same grinding intensity that they had finished the first, and but for a knock on by Ardie Savea they could have had an early try. It only took five minutes for them to register their first points of the half however, with Beauden Barrett kicking the first drop-goal of his international career. Quite where that was in Wellington against South Africa would be a question for many All Black fans, but the extra three points brought them into touching distance. By this time, the rain had almost entirely focused play into a tactical kicking battle that neither side truly dominated. The Battle of the Air however, forced the attritional war of the fixture into a series of battles that were almost exclusively dominated by one man. Brodie Retallick had not started the game well with his knock on that gifted England possession, but by this point of the second half, he was rising, literally and metaphorically, to unprecedented heights. Any platform England managed to claw out with the boot was unceremoniously quashed by the giant reaching hands of Retallick. No wonder he would go on to win man of the match. Had England managed to nullify the threat of Retallick, they might well have come out of this fixture with a win. Persistent errors confounded the men in white too. 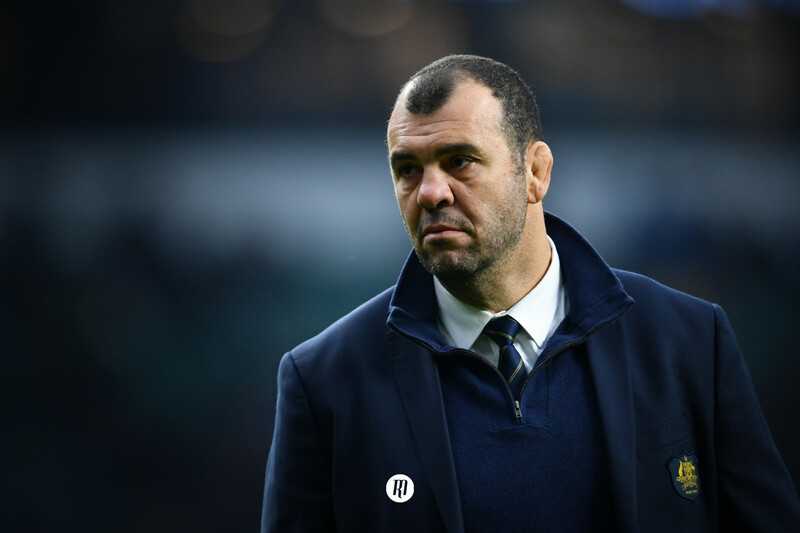 Jamie George was penalised for a dummy throw at a line out in the New Zealand 22, and moments later England found themselves with a line out in their own 22. A minute later, Barrett was kicking New Zealand into the lead. An hour was up on the clock, and a single point separated the sides. The arm-wrestle continued; England’s defence was consummate; Retallick remained imperious. Neither side could gain enough of a foothold to turn the game in their favour. With five minutes to go, it appeared England were staring down the barrel of defeat. Then, the game turned on its head in a flash. The extended figure of Courtney Lawes got his hands to TJ Perenara’s box kick. New Zealand couldn’t gather, and the ball dropped into the hands of the ever-present Sam Underhill. He accelerated to the line, turning Beauden Barrett inside out before touching down in the corner. From no where, England had snatched victory from the jaws of defeat. Controversy was around the corner however. Jerome Garces gesticulated for a replay, and after lengthy deliberation, Lawes was adjudged to have been offside at the ruck. A highly contentious decision. The law states that the offside line is behind the hindmost foot of the ruck. In this instance, Lawes was indeed ahead of the hindmost foot, it was the right call. That said, that a match of this magnitude should be decided on a moment that almost certainly doesn’t get picked up on enough in this age of fast defensive line speed only goes to highlight the inconsistency that was present throughout the game. Both sides were guilty of side entry at rucks throughout the match, and indeed in the dying moments, when England were pressing towards drop-goal territory, the lack of effort from the New Zealanders to roll away from the tackle can’t have gone unnoticed. In the end, a single point separated the sides, with New Zealand emerging as victors. It wasn’t their most inspiring victory, but it was a victory nevertheless. England will go away and lick their wounds and dream of what might have been, but they can at least hold their heads with pride. 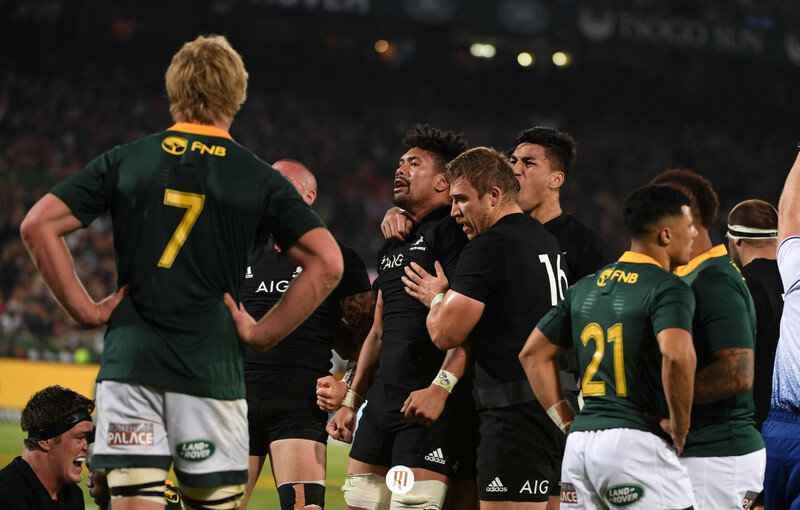 While the weather almost certainly played a part, restricting the All Blacks to 16 points is no mean feat, and but for a less domineering performance from Brodie Retallick, they might well have found themselves on the winning side.